The Ateneo de Manila University-Rizal Library, Ateneo High School Educational Media Center, Private Secondary School Administrators Association of the Philippines (PRISSAAP) and the Philippine Association of School Librarians, Inc. (PASLI), in collaboration with the International Association of School Librarianship (IASL), invite you to attend the Regional Conference on School Librarianship with the theme: “Directions for the Future of School Libraries”. 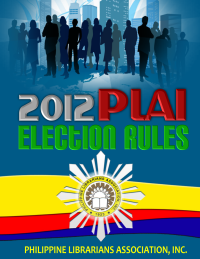 The conference will be held on April 26-27, 2012 at the Bacolod Pavillon Hotel, Bacolod City, Negros Occidental, Philippines. It aims to bring together school librarians in the region to establish and strengthen relationships and support regional cooperation of school librarians. 2. Live-out participants: PhP. 3,500.00 (inclusive of food, conference kit, and certificate only). For more information, you may contact Mr. Fernan R. Dizon (fdizon@ateneo.edu), Mrs. Lourdes T. David (ltdavid@ateneo.edu) or myself (ksagun@ateneo.edu). Attached is the official invite. I hope to see you in Bacolod City!